The 100 MW power plant based on parabolic trough technology will supply 179,000 homes. 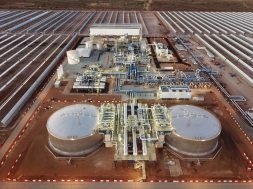 Johannesburg- 7 February 2019- The Kathu Solar Park (South Africa) constructed by SENER and ACCIONA Industrial came into commercial operation on 30 January 2019. With an installed capacity of 100 MW, it will allow clean energy to be supplied to 179,000 homes in the Northern Cape Province and prevent the emission of six million tonnes of CO2 into the atmosphere over the next 20 years. Siyabonga Mbanjwa, Regional Managing Director of SENER Southern Africa stated: “With the completion of Kathu Solar Park, we show our firm commitment to the development of a renewable energy industry in South Africa. Concentrated Solar Power, as a viable alternative to traditional baseload sources of energy, has a demonstrated alignment with South Africa’s national agenda of achieving inclusive growth that includes job-creating, manufacturing, construction and rural development. Reaching commercial operation at Kathu means that the energy supply to the local community is secure and demand is well managed while contributing to mitigate the effects of climate change”. Roberto Felipe, Director of Operations and Production at ACCIONA Industrial, stated: “At ACCIONA we are committed to renewable energies, and in particular to CSP energy. 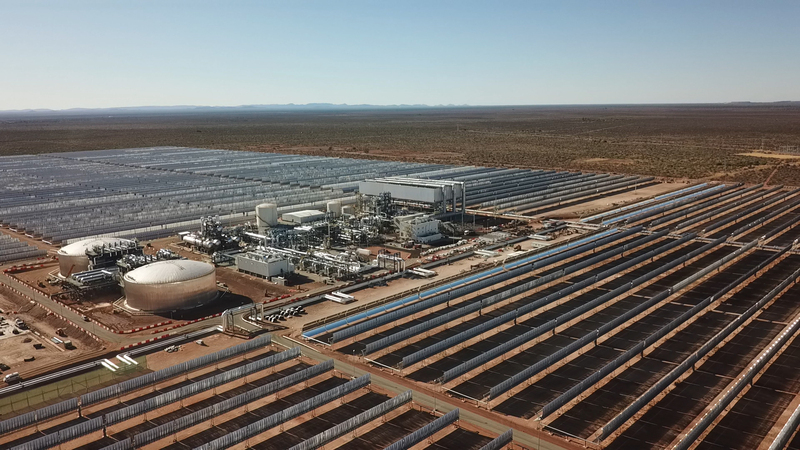 The execution of the Kathu Solar Park plant has been a success for performance objectives thanks to the excellent team involved in the project, and also for the impact it has had on the economy and population in the Province of the Northern Cape in South Africa. 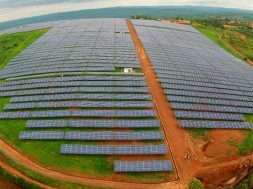 This has been made possible thanks to the excellent relationship with local administrations and businesses, and with Kathu Solar Park, our client. 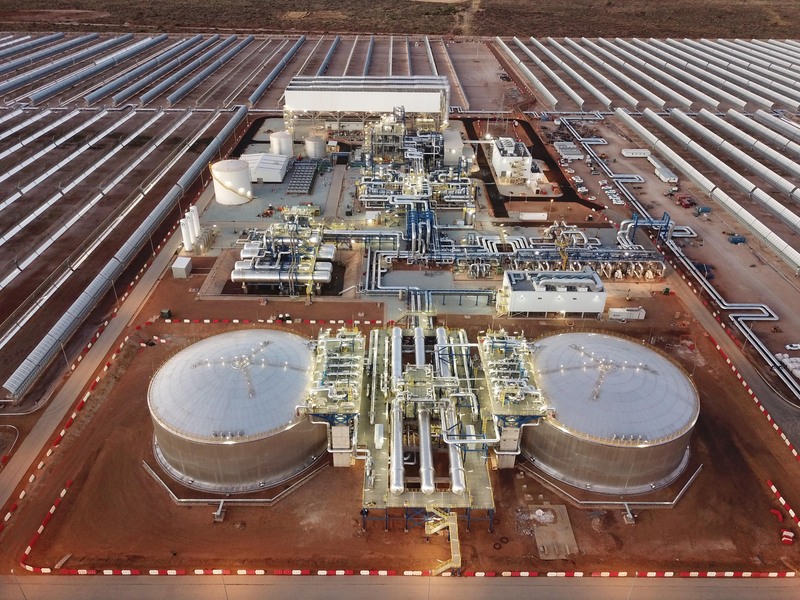 In addition, this plant becomes our second project in the region along with the Bokpoort solar thermal plant, which consolidates us in the renewable energy market in the country”. Construction began in May 2016 and has created 1,700 jobs in peak June 2018. The Kathu solar thermal power project has also contributed to the economic development of the region by contracting local suppliers and through the KSP Social Economic Development programme and the Kelebogile Foundation, thereby significantly boosting community development in the John Taolo Gaetsewe District Municipality. SENER is a technology leader worldwide in the CSP sector, both in terms of technology and number of plants in progress. SENER has been working in South Africa since 2013, and has taken part in three turnkey construction consortium for the Bokpoort, Kathu and Ilanga-1 solar thermal power plants.